Hello! 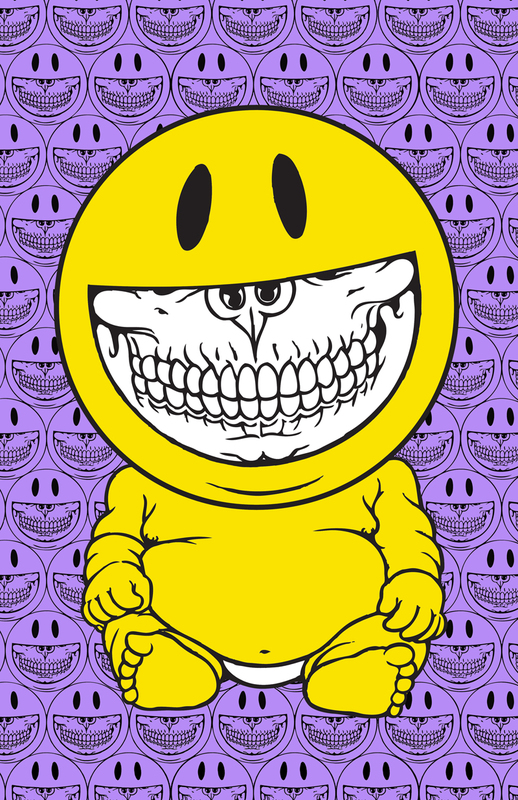 I'm Ron English. I'm a fine art/street artist who has appeared in Oscar nominated Hollywood films, created murals and billboards around the world and worked on various musical projects over the years. I would like to create an epic rock opera called “Rabbbits in Delusionville”, played in three acts using the best available musical talent. The songs have already been written and the demos have been recorded but to bring this musical epic to fruition, I need your help. "Rabbbits in Delusionville" is a rock opera that will be like post-factual Animal Farm meets Aesop's Fables on LSD. 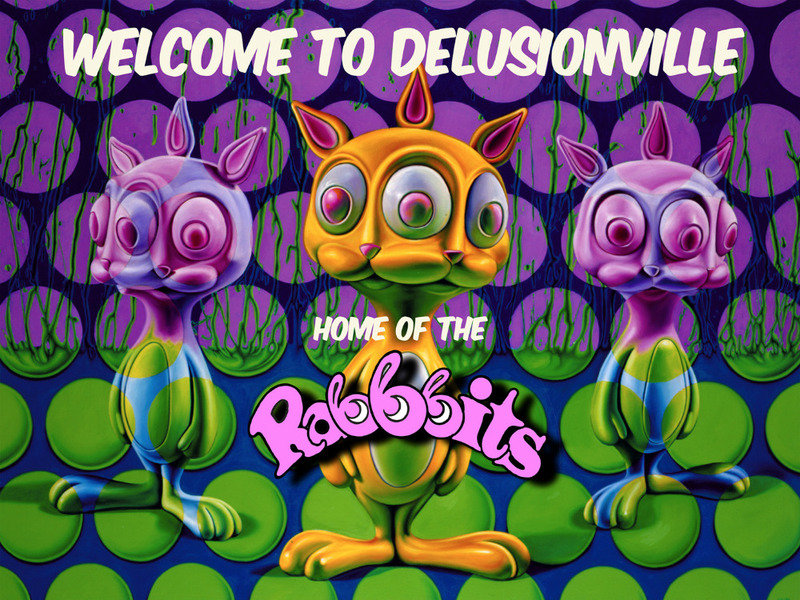 Delusionville tells the story of a society that formed as different animals fell down a rabbbit hole and created a world with their own mythologies, religion, and politics. Every animal group represents an embedded archetype in the social structure that is about to come in question. This is largely a commentary on faux news, stagnation of social mobility, and downright delusional thinking. Act One – Introduces all of the characters in Delusionville and brings into question the nature of their society and their various places in the social order. Act Two – The animals get riled up about the economic disparity and social injustice in their previously unquestioned world of delusion. Act Three – A very unusual take on revolution. I am working with the producer Joe Johnson and opera singer Russell Cusick, both located here in Beacon NY. Russell is a Julliard classically trained baritone operatic singer who has performed in Operas and Musical Theaters around the world. Joe has worked with artists as diverse as Keith Richards and Daniel Johnston. We are hoping to have the album recorded and mastered by mid-June for a July release! The reason I’m reaching out on GoFundMe is because I feel that this project is bigger than me and needs to get out into the world. Besides being a great work of music, "Rabbbits in Delusionville" creates a safe spot to discuss the politics of our day without bruising anybody’s party or embedded religious loyalties. We live in a world where people are overly defined by their political party and religion. More and more we are losing the ability to have honest and fruitful discussions about the world we live in. I need your help to put this project out into society and get as many people involved as possible. $15,000 - Studio time to record the musicians and performers in a well equipped recording studio. $7,000 - Paying musicians to come in and record the music. 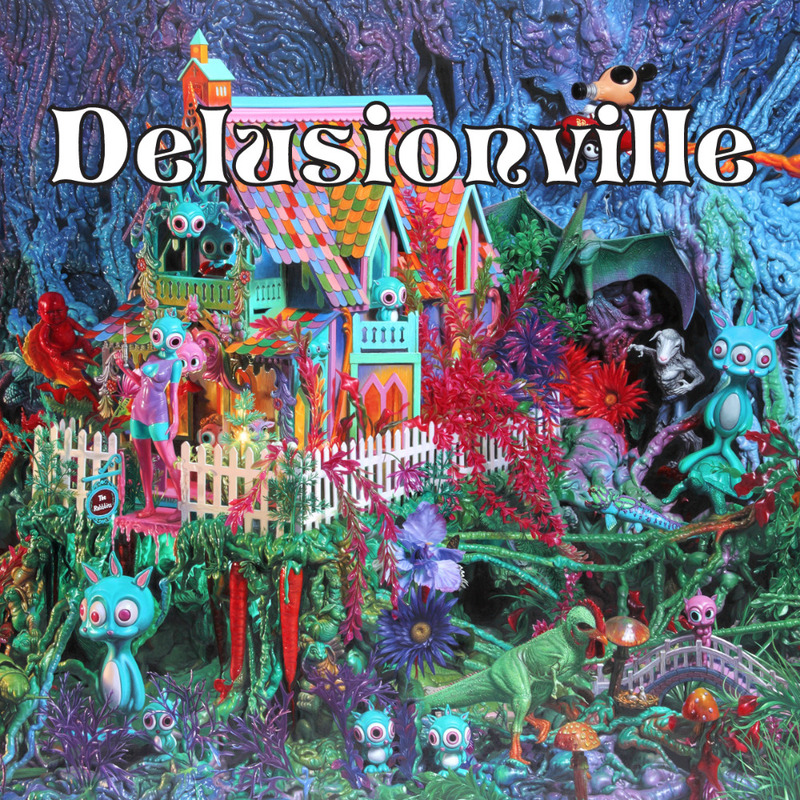 The Lyric Book contains an intro into the world of Delusionville and has all of the lyrics from the album with illustrations by Ron English. $300 – 2 CD Set, Lyric Book, and Original Ron English Silk Screen Print of “Falla Sheep” or “Grinnie” from Delusionville. Limited edition 50 of each. Please indicate which print you want. 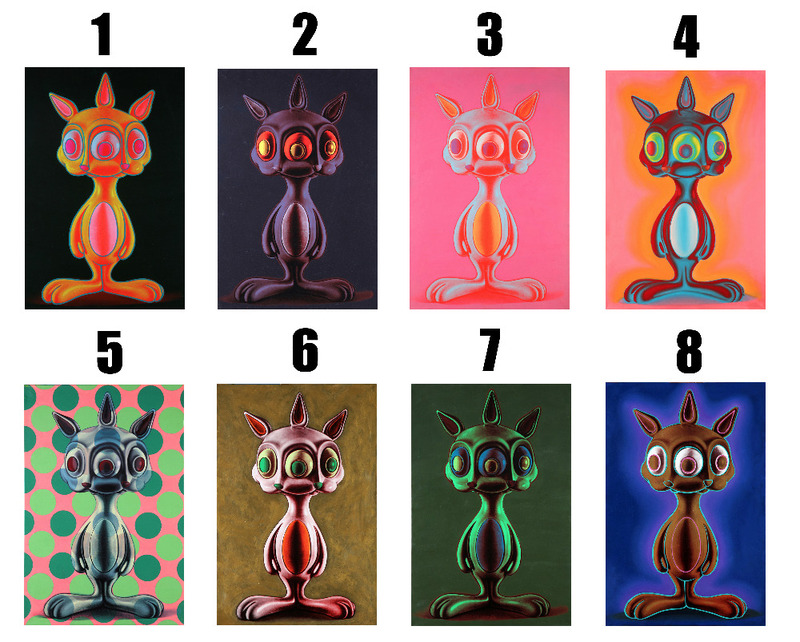 $400 - You get the 2 CD set of "Rabbbits in Delusionville", the Lyric Book, and an original black light Ron English "Rabbbits in the 70s" Silk Screen. Limited edition of 50. $500 - 2 CD Set, Lyric Book, Plus 1 unique CD with 5 Rabbbit songs performed acoustically incorporating shout outs to you or a loved one. You will provide some information and concepts to us and we will record different versions tailored to you or whomever it is for. $7,000 - 2 CD Set, Lyric Book, All 3 available prints, and an original 24"x36" oil, acrylic, and silkscreen painting on canvas by Ron English. Limited to 8. Please select which one you want. $8,000 -2 CD Set, Lyrics Book, All 3 prints, One of the Rabbbits original paintings, as well as an appearance on the record and a dinner party with Ron and selected musical guest. Come spend the day at the recording studio and be featured on a track on the record. Then have dinner with Ron and some of his musician friends in Beacon, NY. Your name will be included in the credits at the end of the record. $40,000 - Every CD will come with a unique cover designed and signed by Ron English. These hand made covers will be your very own one of a kind artwork by the artist. 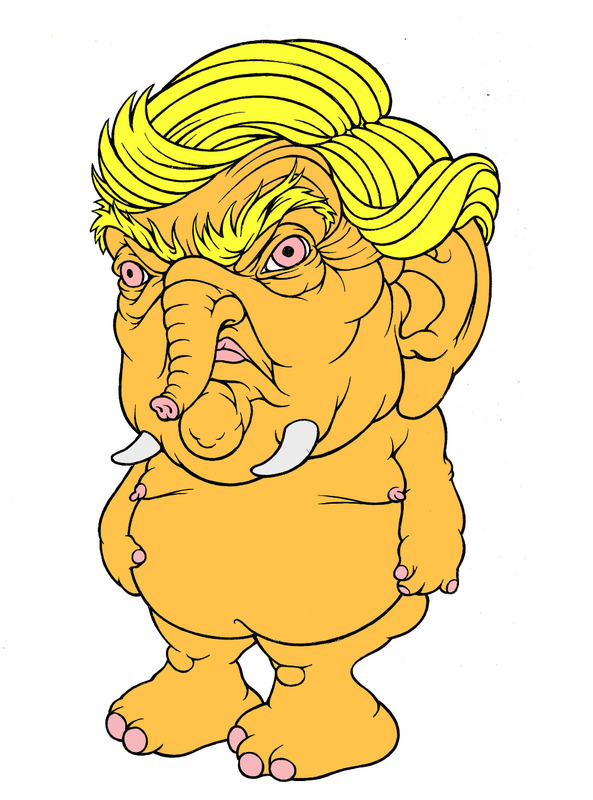 Also, we will also add a new character to the world of Delusionville called "Trunk, the Orange Elephant" and create a new song about the character. I think you know who "Trunk" is referencing, the "elephant in the room". 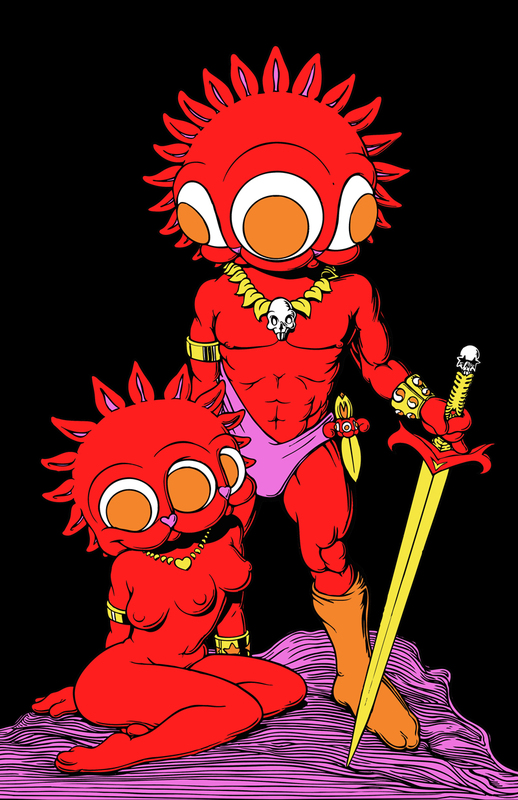 Trunk is the town narcississy savior/satan character. He makes everything funnier and is there to keep things "real" in a world of "fiction". Let's make "Rabbbits in Delusionville" a reality! With your help we can make music history! Thank you! Please spread the word and pass this project along! Thanks so much for helping with this project! We're about half way through producing the silk screened prints and laying down the drum tracks on the album. It's going to be great! Please continue your support and sharing this project. Stay tuned for more updates. Schreib den ersten Kommentar zu dieser Kampagne. 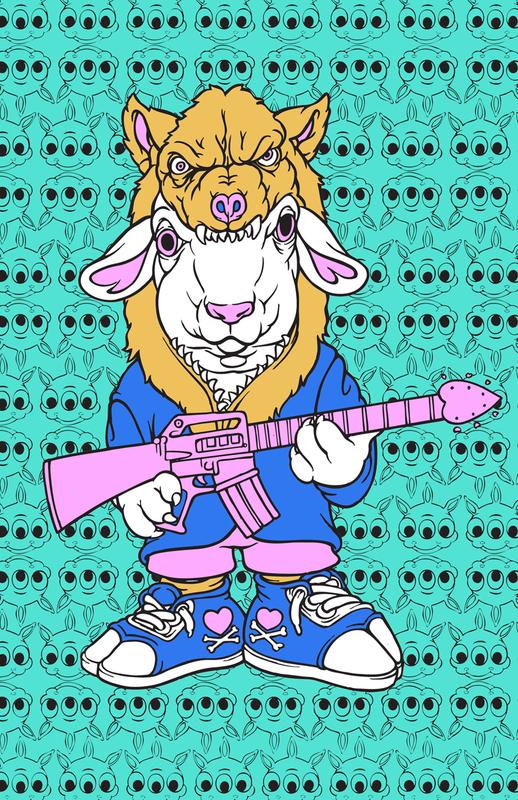 You get the 2 CD set of "Rabbbits in Delusionville"
You get the 2 CD set, Lyric Book, and an original Ron English Silk Screen of "Falla Sheep" or "Grinnie". Please specify which print. Limited edition 50 each. You get the 2 CD set of "Rabbits in Delusionville", the Lyric Book, and an original silk screened black light Ron English Silk Screen. Limited edition of 50. 2 CD Set, Lyrics Book, Plus one bonus unique CD customized for you. 2 CD Set, Lyric Book, All 3 available prints, and an original 24"x36" oil, acrylic, and silkscreen painting on canvas by Ron English. Limited to 8. 2 CD Set, Lyric Book, All 3 prints, An original Painting, as well as an appearance on the record and a dinner party with Ron and selected musical guest. I'm Jenna Morello's dad. I appreciate your work and the support and inspiration you give to Jenna. Better and Better. I'm an ex surfer,skateboader and at 60 years old close to your age so our experiences in life are similar.Big fan of your art.